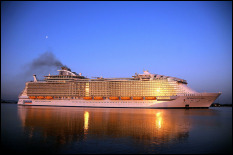 Cruising - A Fantastic Way to Travel and a Great Value! Vacations at sea are amazing! From the big mega ships with tons of activities to intimate luxury yacht-like vessels with superior service and amenities, there truly is a cruise for everyone. Cruising is one of the best values in travel as well. With meals and entertainment included, it’s a perfect family vacation. Add in the variety of ships and destinations, and you’ve got the makings for a one-of-a-kind vacation. 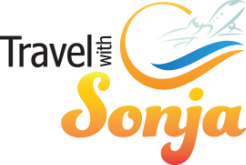 Contact Travel with Sonja, your cruise travel specialist to find out the best cruise option for you! The splendor of Alaska. Nature at its finest. From salmon fishing to sight seeing, visiting America’s last frontier is a vacation experience for both young and “young at heart” alike. We can extend your Alaska vacation by adding a land excursion on either end of your cruise, allowing you to get up close and personal to the many wonders of the region. 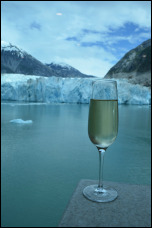 Contact us to begin planning your Alaskan dream vacation. 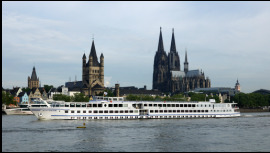 River Cruising has fast become one of the most popular forms of cruising today. It’s slow pace and relaxing atmosphere is hard to beat. River cruises often dock right in the heart of the cities they visit, allowing passengers to see amazing destinations without having the travel miles from an ocean cruise port to the countryside or the inland cities. For more information on these unique cruise experiences, visit our River Cruises page. Looking for a change from vacations at a theme park while still amazing your kids? Surprise them with a Disney cruise! It's a great way for the parents to relax while the kids are entertains. 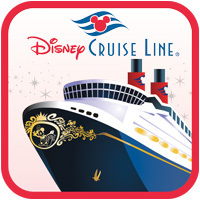 Disney cruises are available in the Caribbean and Europe and can be combined with a theme park visit as well. Check our Disney page to explore the options. Explore our Ports of Call guide below! Photos used under Creative Commons from Robert.Pittman, Rob.Bertholf, Rolf H.